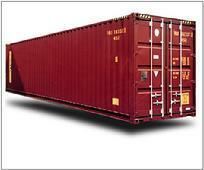 VShip Co. offers Full container load(FCL), Roll on Roll off(Ro/Ro), non Ro/Ro and Less than a Container Load(LCL) services. VShip Co. current regions of services covers Eastern Mediterranean, Mediterranean, West Africa, East Africa, South Africa, South America, Caribbean, Asia and the Indian Subcontinent. VShip Co have well trained staffs to handle high and heavy construction equipment and other rolling and non-rolling stock. Contact your VShip Co. office for more information on all our services. VShip Co. provides a complete solution to your FCL service. VShip Co. arranges for loading, trucking, and ocean for commercial as well as residential shippers. VShip Co. also provides pick up of cargo from any location and arranges loading at the warehouse. VShip Co.’s capability of providing on the spot rate quote allows you to make your move faster and efficient. For FCL services VShip Co. have options to utilize the global carriers like CMA CGM, Cosco, Grimaldi, Hanjin, Hyundai Merchant Marine(HMM), Maersk, Mediterranean Shipping Co. (MSC), Turkon, United Arab Shipping Co. (UASC) and Wan Hai Lines (WHL). VShip Co. provides a complete package for any size cargo. VShip Co. evaluates each piece carefully and advises how that piece can be shipped. VShip Co.‘s tactics help its customers to ship the product very cost-effectively. VShip Co. arranges for dismantling of the machine and main part is shipped as Ro/Ro, if needed, and the rest is containerized. 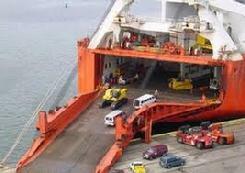 VShip Co have contracts with world’s leading Ro/Ro operators like, Bahri, Eukor, Grimaldi, Hoegh, Swiss and Wallenius. VShip Co arranges to pick up your cars &SUVs from anywhere and deliver to the port with all required paper work that United States Customs and Border Protection required. 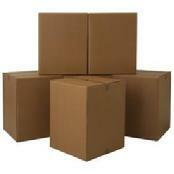 LCL service gives you the flexibility to ship your cargo regardless if you do not have enough to fill a container. VShip Co. has an extensive network of LCL carriers who can accommodate almost any commercial or personal shipment.